How to Write Effective Classical Argument Essays. Making a point is not as easy as it sounds, especially if you have to put it on paper. 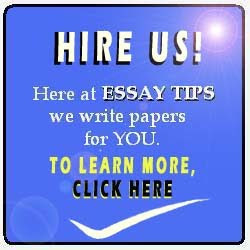 There are methods to writing an argumentative essay, particularly one that uses the classical method. It is called classical primarily because it is widely accepted as the traditional mode of arguing a claim. But even if it is an old method, it remains tried-and-tested. Writing an effective classical argument essay requires several things, so keep the following points in mind. Begin by connecting with your reader. This can be done in several ways. You may start with a quote relevant to your topic, or an anecdote that your reader can relate with. Your aim is to draw your reader to what you are about to discuss without being aggressive. Then, introduce the issue, but do so in simple words. State what the problem is minus the complicated parts yet. Now that you have your reader's attention, you're ready to plunge into the next step of writing your classical argument essay. Follow with a brief discussion on the background of your topic. Explain how and why the issue existed in the first place. Here is where you may provide a bit of historical context. Do not state your position on the controversy yet or you risk alienating your reader at this early stage. 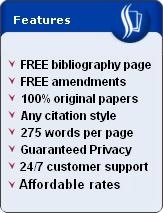 Cite your sources whenever possible in order to add credibility to your background discussion. Now provide the arguments that support your claim. You may include facts from news reports or scientific researches to reinforce your argument. Do not beat around the bush. In other words, get your point across straight. You may devote one paragraph for every argument so that you can provide adequate space for discussing each argument. This will also prevent your discussion from being disorganized. At this point of your classical argument essay, you need to acknowledge the opposition. This is not only in the interest of fairness but also to give your reader the impression that you are aware of the various sides of the issue. Do this by writing down the possible objections to your claim. Be as truthful and objective as you can. Otherwise, your readers may suspect that you are completely biased and, therefore, not worth paying attention to. After recognizing the opposition, the next step is to refute the objections to your claim. Again, be direct to the point. If an objection is weak or unfounded, say that it is so and, more importantly, explain why it is the case. Back-up your refutations with facts from news reports or researches. Do not leave any opposing argument without any counter or refutation. You want to cover all the objections that you have previously mentioned. Conclude your classical argument essay by restating your claim. This means that you need to reword your position. Do this by saying the future implications of your claim, or what others stand to gain by taking your side. You may also end your classical argument essay by citing at least one real-world case or scenario where your claim holds true. This is in order to give your readers the impression that your claim can actually be implemented in real life.